Sales metrics. 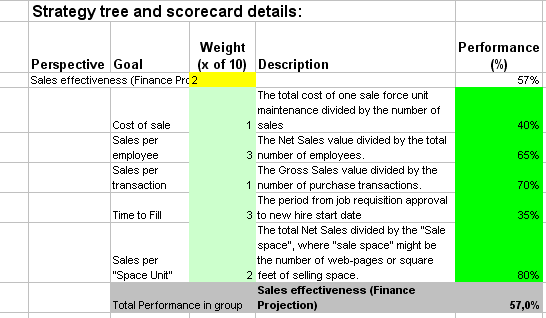 This is a Sales Balanced Scorecard for Excel that describe the sales machine in company. These metrics will help to measure and evaluate the performance and quality of sales department, compare one sale team against another, providing additional information for benchmarking. Such a sales kpi system will make it easier to manage sales department providing company leaders with an easy to use dashboard with correct sales-related indicators. Why do business professionals choose ready-to-use KPIs? Can a business professional research KPIs on his own? How do I avoid typical problems with KPIs? Is ready-to-use KPI applicable in my niche? Can KPIs can be easily integrated in any business environment? How can KPIs make the difference to the business? How to align these KPIs with a strategy of our organization? The whole process takes on average 6 minutes. Give it a try right now - it's free. For sure, sales volumes is the most important KPI in this category. Sales drive success in all industries. Ratio of sales from existing and new customers is important. Increase of sales from new clients indicates good chances for development. Sales per employee and sales per transactions are core KPIs here. 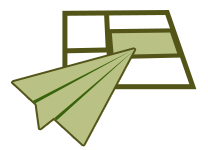 Download trial version of Sales Metrics. Purchase full version of Sales Metrics + bonus. Measuring sales is necessary for any and every business type, irrespective of the size the organization has. This is because contributing maximally to the 'sales volume' is what the ultimate aim of a firm is. This makes it important for the sales department people to evaluate the parameter constantly. One can do this in a logical and scientific manner by looking for the useful metrics to gauge the performance of sales division of the organization. In other words, knowing the effect of efforts of marketing people is a must in case the company intends to be on the growth path continuously. One can do this by arranging the parameters on a sales scorecard and handing over the task of 'monitoring and tracking' to this management tool. This strategy was devised in 1990s by Norton and Kaplan as the need for 'non-financial' assessment w as felt. Earlier, only the financial counterpart was utilized however, dilemmas regarding the true direction in which the processes were moving starting coming up. This led to the inclusion of 'non-financial' portion inside the scene. Consequently, by having such an instrument in hand, one can get assured of shaving success in the task. Related metrics and KPIs for: Retail Sales, Credit Risk, Retail Banking, Mortgage, Financial Statement Analysis, Market Risk, Financial Risks, Operational Risk, Active Portfolio Management, Passive Investments. Customers who viewed this item also viewed: Operations Scorecard | Marketing Metrics Pack | Accounting Scorecards Pack | Operational Risks. This is the actual scorecard with Sales Metrics and performance indicators. The performance indicators include: Sales per employee, CRM usage, Product and service related education, Customer segmentation. 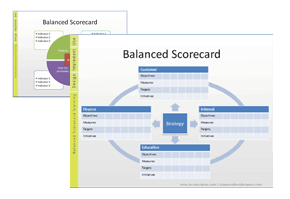 Download a trial version of Sales Balanced Scorecard or purchase a full version online. 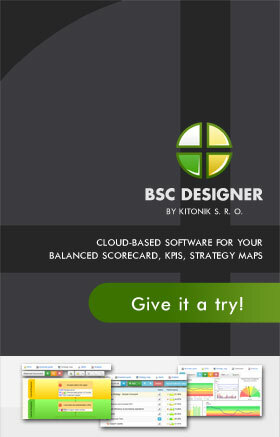 Use this example to create your own KPI scorecard using a cloud-based software. All articles about measuring performance in Sales. How is this book different from 796 other book titles about KPIs on Amazon? 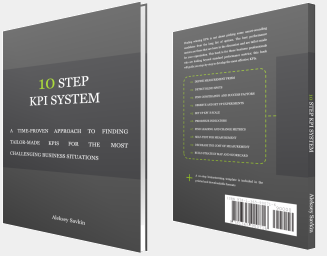 "Before writing a single line, I formulated some guiding principles, one of them was: "If our clients ask, "How can I find a good KPI for..." - I want this book to provide a perfect answer."